Eon Blue wrote: I went to Kitty's for lunch today. 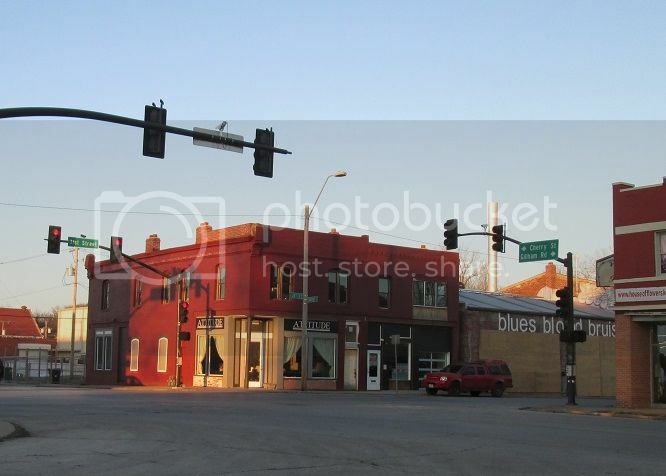 Across the street are a pair of sturdy-looking two-story brick buildings that sit set back from the street a bit. On the top floors are cutouts for doors and you can clearly see where a balcony was anchored before. Every time I go there, I daydream about how neat those buildings could be if someone got ahold of them, renovated them and re-attached balconies. East 31st could be a wonderfully intimate urban street with the right approach. Blah, blah, blah - how was the pork tenderloin? J/k - agree with you on E31st - great potential. Great legacy places like Kitty's and M&M could really be complimented by some new businesses. WSPanic wrote: Blah, blah, blah - how was the pork tenderloin? I could have eaten 2. One day I will, when I go on a non-work day. It's a little Bakery/Deli at the SW corner of 31st/Woodland. Good doughnuts/great Apple Fritter - and some really good lunch sandwiches. They have one called the Hook 'em Up and a Reuben that are both really good. Reuben has some slaw on it, in addition to Kraut. Cookies are good too. It's a good hidden KC treasure, for sure. Last edited by WSPanic on Wed Dec 09, 2015 2:10 pm, edited 1 time in total. Hot Tip: Tenderloin at Christine's Firehouse Bar and Grill in NKC. Massive. Ridiculously so, and delicious. Also a correction: M&M is between Highland and Woodland on 31st. I'll have to try that tenderloin. Sounds like it's in the same spirit as Christy's Tasty Freeze in KCK. Kitty's is a different animal, for sure. moderne wrote: Attitude to open at 31st & Cherry in November as breakfast and lunch cafe with Italian and Polish food. TheBigChuckbowski wrote: Well, there's a florist, candy store, yoga studio, maybe a bike place in the hopefully not-too-distant future but I completely agree. 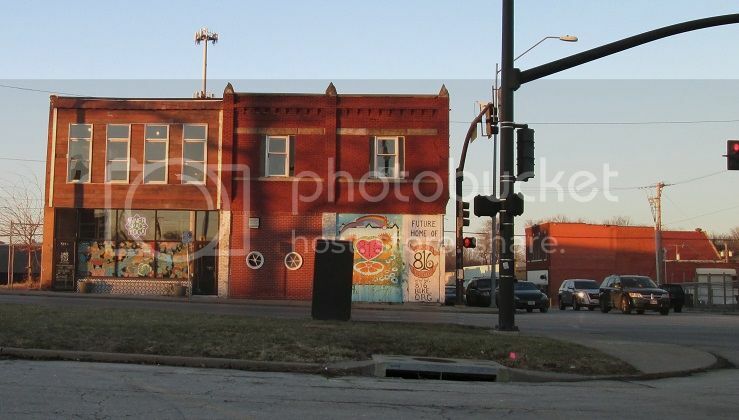 31st and Cherry have tons of potential in that area. The yoga studio is open, but the bike place doesn't appear to be ready. The Bike place has been in a perpetual state of crowdfunding for nearly 8 years. I think they are still only open about six hours a week, also. It appears the Velvet Freeze work could be beginning. There has been some recent activity on KIVA indicating a Lot Consolidation and soil boring at the site. Union Hill still using empty lot in back for construction staging. This may be the best modern project in the Union Hill area to date. Overall this is a great project, but the design of the north building is a little foreboding and looks more suitable for a university in the 60s than contemporary urban infill. I understand the desire to keep some of the pedestrian riff raff out of the courtyard space, but they've completely eliminated any interaction with the street by placing a concrete wall along the sidewalk. More good than bad from the project - hope it moves the development momentum further east. Last edited by pash on Tue Feb 14, 2017 5:04 pm, edited 1 time in total. Don't understand the objections. About the only project to attempt incorporating an historic building. That concrete wall "eliminating any interaction with the street" is not monolithic and is a reasonable solution to a sloping site. It is very close to sidewalk level at the south end and slopes to meet the garage entrance. Quite similar to the Founders buildings across the street. As someone who lives on the street, I don't want random interaction with the street unless and until I choose it. 100% chance this gets "petitioned". Last edited by pash on Tue Feb 14, 2017 5:03 pm, edited 1 time in total. moderne wrote: Don't understand the objections. About the only project to attempt incorporating an historic building. That concrete wall "eliminating any interaction with the street" is not monolithic and is a reasonable solution to a sloping site. It is very close to sidewalk level at the south end and slopes to meet the garage entrance. Quite similar to the Founders buildings across the street. As someone who lives on the street, I don't want random interaction with the street unless and until I choose it. Couldn't agree more. Nothing wrong with the solution offered for the North building. I think this project is great - hope it gets done. The teeth gnashing and hand wringing that goes on around here regarding about the 10 seconds it takes to walk past a building boggles my mind.